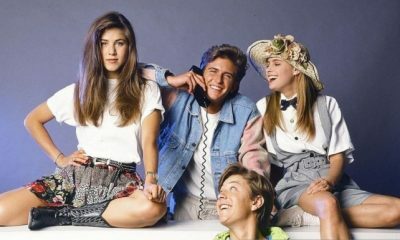 Initially a child model who gained critical acclaim at the young age of 12 for her memorable performance in the film Pretty Baby, Brooke Shields became an icon in Hollywood during the ‘80s and ‘90s. Still, many would be surprised to learn the actress also participated in a Japanese commercial in her prime. In the ad, the Suddenly Susan actress is seen uncomfortably struggling with knots in her hair-until Lux shampoo swoops in and saves the day. Shields has a degree in romance languages, but she didn’t bother learning a single word of Japanese for the commercial. Instead, all she says is “Lux, super rich”—in English. 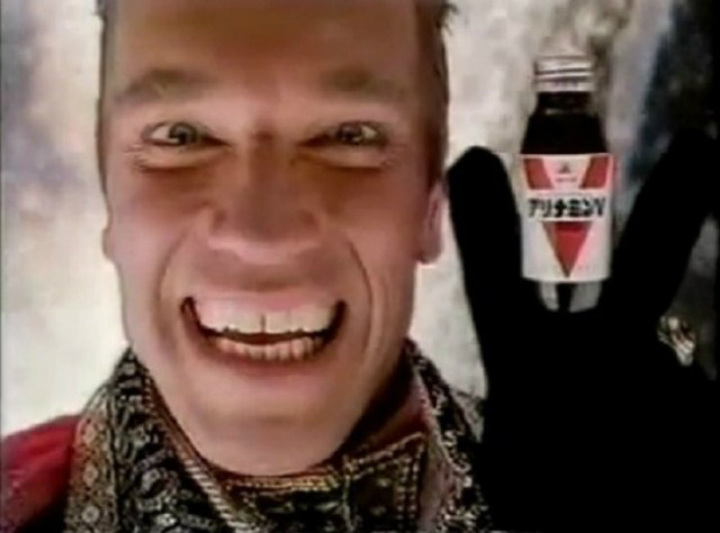 There are those who dabble in Japanese advertisements, and then there is Arnold Schwarzenegger, who has appeared in so many that he has been given the nickname “Schwa-chan.” From cup noodles to energy drinks, Arnie has seemingly become an commercial hotshot in Japan. It’s a nice addition to his resume, which also includes bodybuilding, acting and serving as the governor of California. Perhaps one of the most hilarious moments of advertisement history is when Francis Ford Coppola falls madly in love with… a cassette tape. 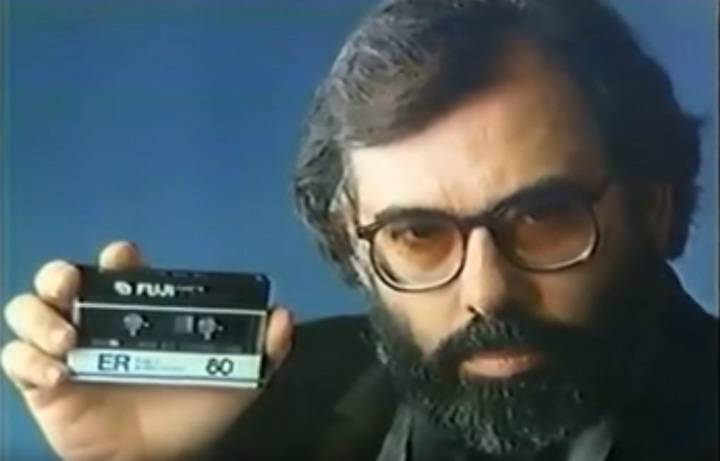 The entire Japanese commercial features Coppola passionately caressing the FUJI cassette before lovingly turning it to the audience, so they can adore the product as much as him. Indeed, that’s all the Hollywood star had to do for the ad—it must be the easiest money he has ever made! The fact that it is a close-up makes the whole thing feel even more magnificently awkward. If cassette tapes were still a thing, we’d be convinced for sure. Since 2006, Tommy Lee Jones has appeared in a string of Japanese advertisements for Boss, a Suntory brand of coffee that is sold canned. Perhaps playing off his iconic role in the Men in Black films, Jones appears in the commercials as an alien visiting Japan. But the real Jones is far from a stranger to the country and has visited more than once, often while promoting his films. After the horrific earthquake and tsunami that struck Japan in 2011, Jones was the only foreigner to sing in a free commercial to raise the country’s spirits with several Japanese celebrities. 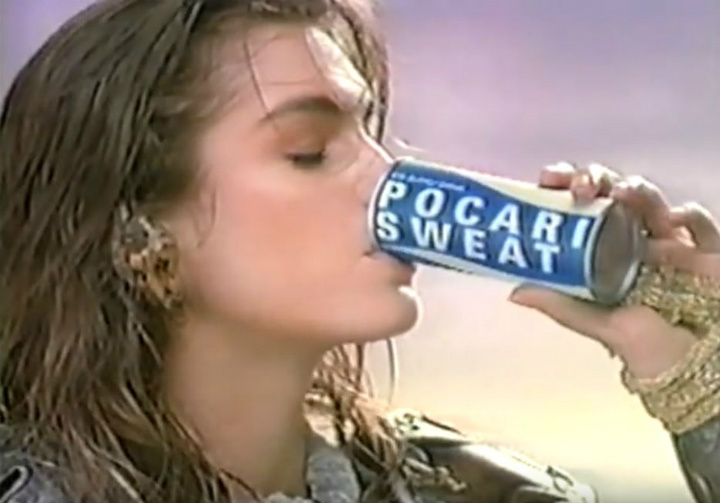 Though she might not be as prominent as some of the other actors that have starred in commercials in the land of the rising sun, Cindy Crawford’s ad for Pocari Sweat, a Gatorade-like energy drink in Japan, was too good to pass up. Clad in gladiator-esque armor, the actress and model shows off her sword skills, swinging around her blade while green-eyed panthers and a flying dragon pass by. Though “sweat” might not sound so appetizing to an Anglo, the Japanese energy drink apparently gives actors the ability to fight off some pretty powerful creatures. There’s no reason it shouldn’t keep the rest of us awake. One of the most recent American celebrities utilized for a Japanese commercial is teen heartthrob Justin Bieber—and SoftBank couldn’t have made a better choice. Bieber appears alongside Japanese YouTube star Piko Taro in the commercial to promote one of the country’s leading telecommunications companies. Clad in traditional Japanese clothing, the Canadian megastar tries his hand at the language, saying “Konnichiwa” right before taking a selfie and walking into a school. 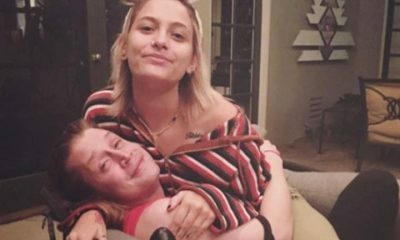 Piko, with whom Bieber has engaged in a long-running bromance, is one of the teachers in the school. This one might just be one of the highest-profile ads in Japanese history. It turns out John Connor from The Terminator—aka Edward Furlong—can sell instant noodles just as well as he can act in a box-office hit. The Japanese company Hot Noodle made the then-young actor the face of its ad campaign, and to be frank it was spectacularly hilarious. Dressed as a tiny kettle, Furlong danced along the rim of a tasty-looking noodle cup throughout the ad. It wasn’t Furlong’s only Japan gig—some would be surprised to learn he had a brief but successful music career in the country, having released two gold albums, according to the Los Angeles Times, geared mostly toward teenage Japanese girls. The director of massive hits like Pulp Fiction and Django Unchained, Quentin Tarantino has made name for himself by taking serious concepts and transforming them into brilliantly bizarre masterpieces with comedic relief for days. And his cameo in a Japanese commercial doesn’t disappoint. The 2009 commercial for Japan’s Softbank is hard to grasp for someone who isn’t familiar with Japanese culture, so don’t expect an explanation here. But the idea is the family in the commercial behaves like an exaggerated version of a typical Japanese family, and that’s why it’s funny. 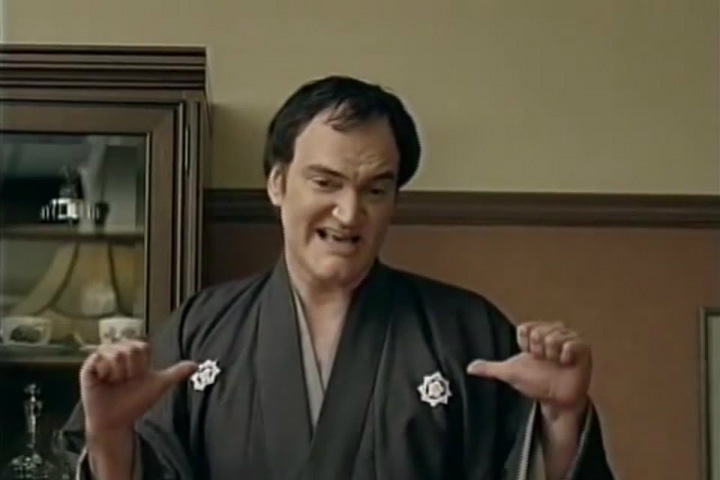 The commercial ends with Tarantino’s wife calling and yelling at him to “Get home right now!” Tarantino’s martial arts poses and facial expressions throughout are simply priceless. 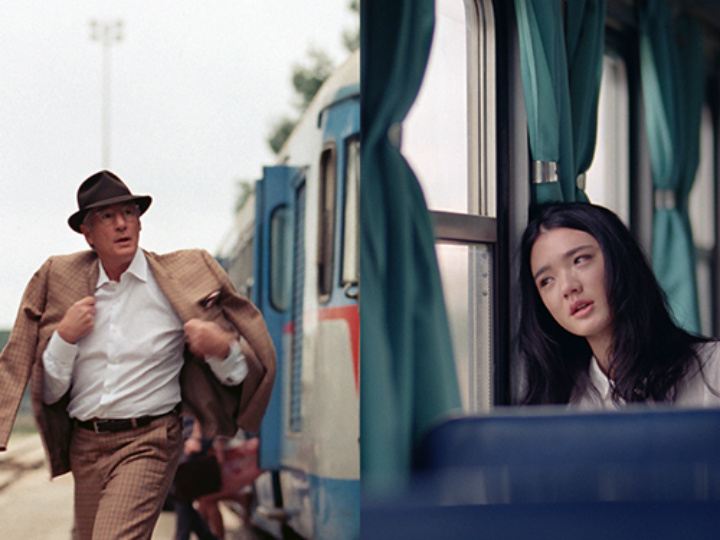 Richard Gere’s appearance in an advertising campaign for European soft drink brand Orangina in Japan is totally consistent with the kinds of roles he played in Hollywood blockbusters such as Pretty Woman. That is, he plays the caring and thoughtful knight in shining armor. Do you remember the movie that featured Sylvester Stallone popping up in a flower field with a suitcase to offer a random Japanese family ham? No? That’s because the scene described isn’t from a Stallone movie—it’s from a Japanese commercial he did for a ham brand in the country. 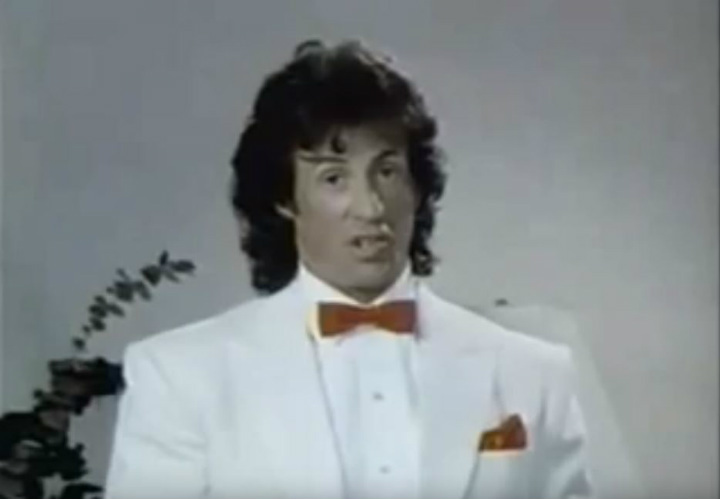 The commercial from the early ‘90s is short—only 13 seconds long—but it’s clear Stallone took the gig very seriously. He sported a sleek white blazer for the ad, and even learned a few words in Japanese! The end of the commercial shows Stallone feasting on the ham with the family. One can only hope for the actor’s sake that they knew some English, too. As famous as George Clooney’s Nespresso commercials are, it’s hard to picture him breaking out of his charming espresso-loving character by promoting any other product. Believe it or not, Clooney enthusiastically starred in a Japanese ad in 2014 for a drink nothing like espresso. What’s more, he channeled Christian Bale’s Batman for his single line in Japanese, delivering it with an intentionally raspy voice. The ad opens in a green field. Clooney then carries a brush and bucket of paint up a ladder—sporting a white button-down shirt, perhaps the least appropriate clothing imaginable for painting a roof. 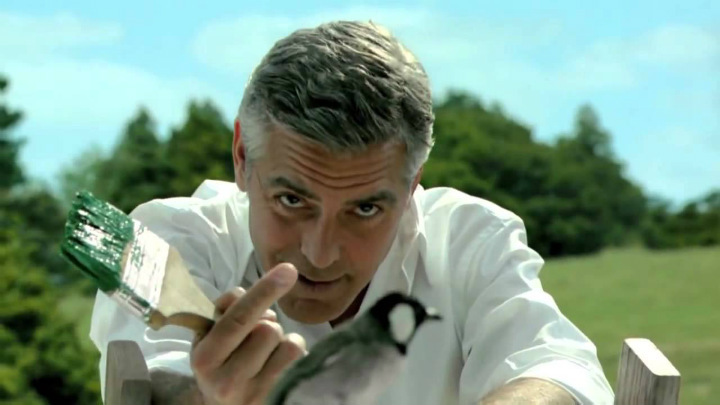 After some technical difficulties, Clooney smiles at the bird that lands on his shoulder, and then drinks from a can of Kiri beer, which is the whole point of the commercial. Makes perfect sense, right? Leonardo DiCaprio might be one of Hollywood’s highest-paid actors—and he finally has an Oscar under his belt now, too—but that didn’t stop him from filming a Jim Beam ad in Japan for what must have been one impressively large paycheck. Even though the 2013 commercial was never released in the United States, the internet got a hold of it when it came out. 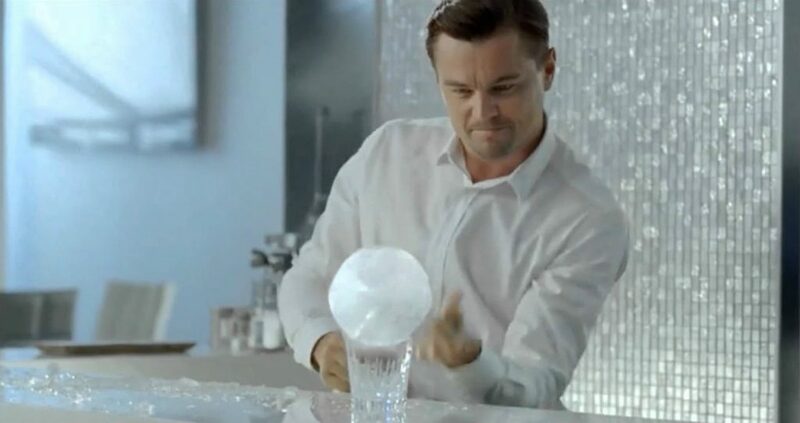 After he turns ice into a ball and then crumbles it through telekinesis, the Titanic star says his single line, “cool bourbon,” over a videogame-like soundtrack. Though Jim Beam is some strong stuff, this encounter with ice wasn’t quite as deadly as DiCaprio’s last. 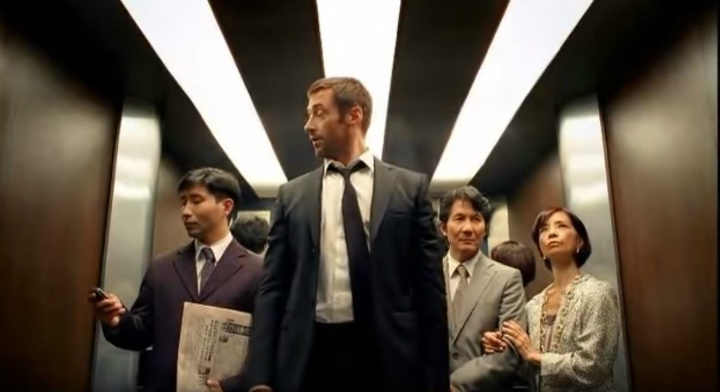 Hugh Jackman significantly differs from many of the Hollywood actors that have appeared in Japanese commercials in that, well, he’s practically Japanese by association. The actor filmed The Wolverine in the country and has learned some Japanese. As such, it shouldn’t be much of a surprise to see his name in this piece. The Japan-loving superstar became a pitchman for Toyota in the country back in 2014, when he appeared in a television commercial for Crown Athlete, asking consumers “what if the color of a car changes with the way you feel?” Hollywood’s go-to wolverine also made an ad for Lipton Ice Tea in the country, in which he dances around in a Japanese office! Harrison Ford is known by the younger generation for playing Han Solo in the new Star Wars trilogy, where he is killed by his own son, Kylo Ren. 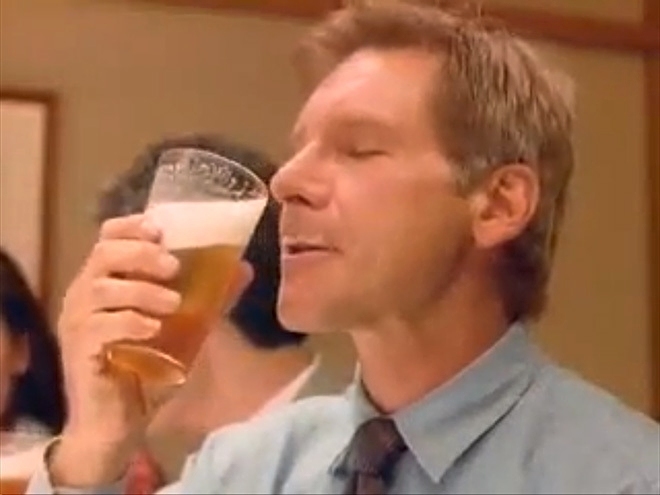 But in the 1990s, Harrison was cast as an uncontrollable bum wandering the streets, or a sauna-dwelling man craving his favorite beer—in a number of Japanese commercials. To makes sense of the role, it’s important to understand that Ford’s character in the commercials is asking for “Kirin Lager Beer, please,” as that’s the kind being advertised. Ford is even branded as “Mr. Beer” by the company. Considering Americans are so big on beer, it makes total sense that Kirin Beer would tap Hollywood actors for their commercials. Back in 2008, Brad Pitt was filming for Quentin Tarantino’s hit film Inglourious Basterds—ah yes, the movie in which Pitt showed off his hilarious southern accent. It turns out he was also shooting a commercial for Japanese denim brand Edwin Jeans. Now, the move to tap Pitt for the position makes perfect sense. Which clothing brand wouldn’t want Pitt modeling their clothes? Especially in 2008. 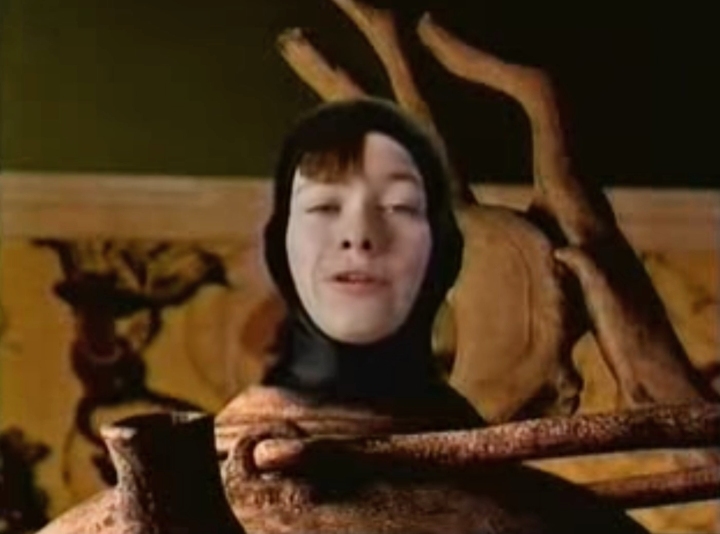 The commercial features the actor lying on a vintage leather couch, moving to the rhythm of the music and banging his head to the tune. Though Pitt doesn’t say a word throughout, he’s as enthusiastic as can be. Lucy Liu has Chinese ancestry, but she, too, has starred in a Japanese commercial. The talented American actress was the face of the Japanese Suntory Diet Beer—that’s the same Suntory as the one made popular by Bill Murray’s character in Lost in Translation. It makes sense that the Japanese would adore Liu. Her work in films like Charlie’s Angels and the Kung Fu Panda franchise has been applauded—the actress has received two Screen Actors Guild Awards and two Seoul International Drama Award for Best Actress. If a star like her drinks the diet beer, why shouldn’t everyone else? That’s how the Suntory ad folks felt, anyway. Remember way back when in the ‘90s, when Britney Spears was all the rage? O.K., of course she remains a household name today and has accomplished very much since, but it was then that she had just burst onto the music scene and held everyone’s attention hostage. It was then, in 1999, when the pop superstar starred in a Japanese commercial at only 18 years old. The ad for Japanese candy features Brit goofing off on a computer-animated airplane, eating a gummy candy and then offering one to the air marshal. It’s really quite incredible to look back at the teenage Britney—and even more incredible she took part in a Japanese commercial and no one knew about it. Nicolas Cage has proven himself more than adaptable than most in recent years, taking seven different movie roles in the year 2018 alone, including Mandy and 211. That same splendid versatility also includes, apparently, serving as Japanese company Sankyo’s pitchman for pachinko machines. Pachinko is a popular pinball game in Japan that facilitates small silver balls being exchanged for cash. The actor partook in what Ranker has described as “among the weirdest commercials you will ever see” to promote the Sankyo’s machines. 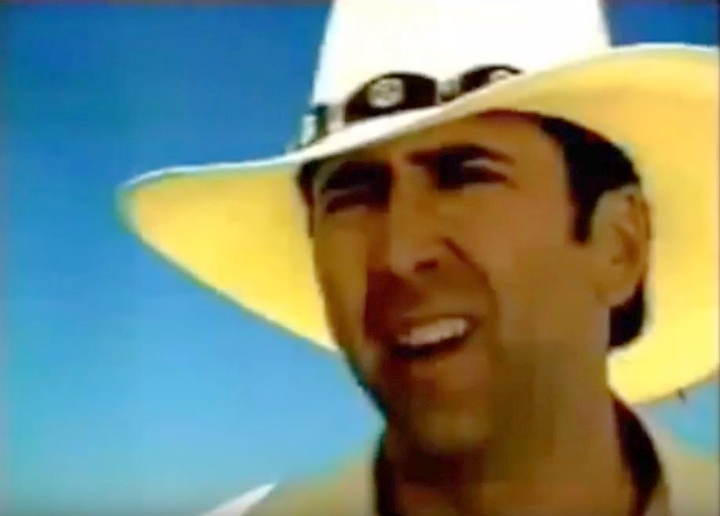 From flirting with blonde triplets to attending a Japanese press conference, Cage’s commercials for the company are priceless—and he gets through them all in English. If there’s any kind of trend here, it’s that Japanese ad-makers seem to love American action stars. 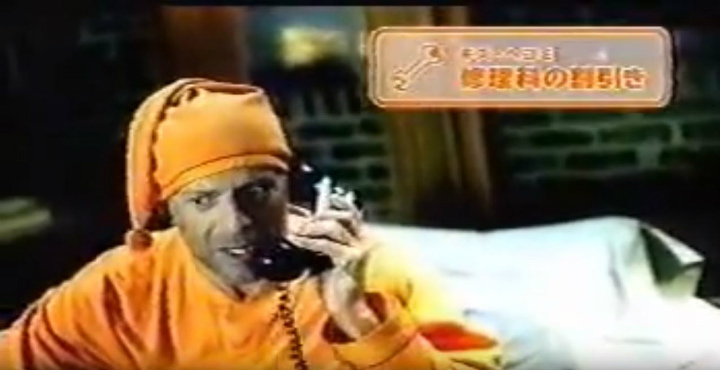 Bruce Willis, one of Hollywood’s go-to heroes, shot a commercial in Japan for an Eneos credit card. Strangely enough, though, the commercial hardly seems to have anything to do with personal finance—minus the cash all over the floor under the actor’s bed. In the commercial, a pajama-clad Willis abruptly wakes up to a phone call in the middle of the night, whips out some kind of energy gun, and fires away at the tons of cash all over his bedroom floor. It’s unclear exactly what’s being said—there seems to be a voice-over in Japanese to deliver the actor’s lines! 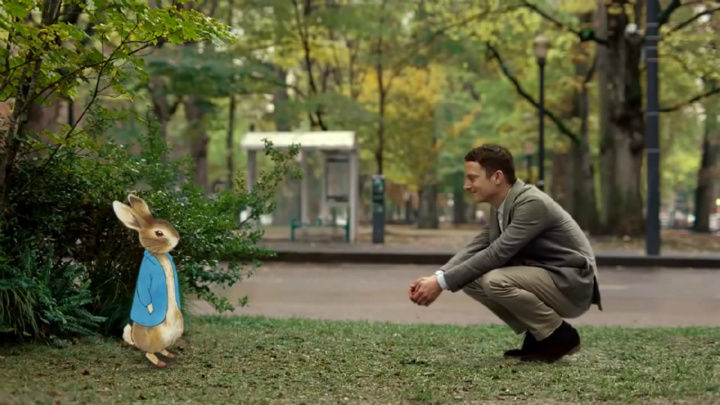 In a commercial that would probably never fly in the United States—although, who knows, really?—The Hobbit actor Elijah Wood tracks down an animated rabbit in a Toyota Noah CM, the car being advertised in the Japanese clip. It’s quite charming, actually. Once he’s finds the cuddly rabbit, Wood kneels down and smiles at him with that famous Frodo Baggins smile of his, the one he makes use of in the Lord of the Rings trilogy whenever Samwise Gamgee says something kind to him. He then proceeds to say “hello there” in English. Who would refuse a car from a salesman like Frodo? 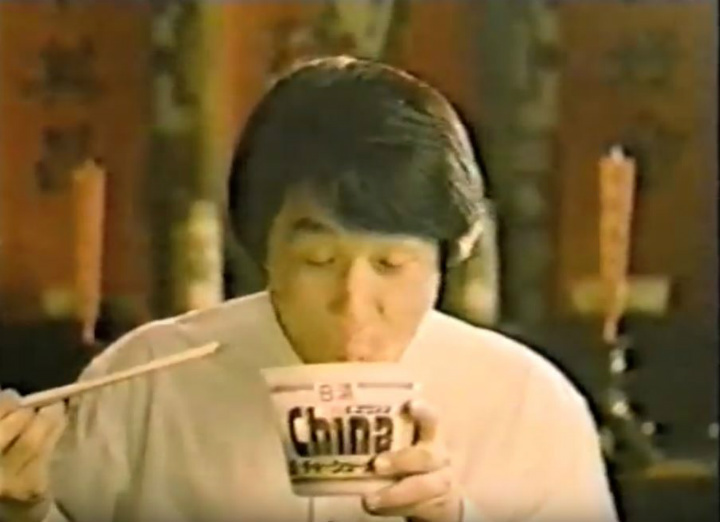 Jackie Chan loves instant noodles so much that he balanced a cup on his head while fighting off enemies with his bare hands just so he’d have it later to enjoy after the fight—the spoils of his victory. That’s the plot of a Japanese commercial for the noodles. It’s done in typical Chan style, as he’s forced to combat multiple enemies at once, and on his own. One of his foes is even able to breathe fire. After the action star beats everyone out and finds a quiet corner to slurp on his soup, he makes it look as delicious as the kind you’d get in a real restaurant. John Travolta was the extra ingredient Japanese distillery Takara Shuzo needed to boost its shochu sales. Shochu, a distilled alcoholic beverage that contains less than 45 percent alcohol by volume, is widely popular in the land of the rising sun. 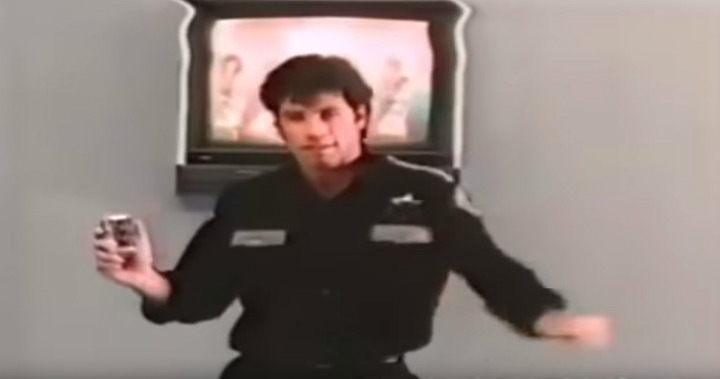 As an article in The New York Times put it, “Sales were helped mightily when the company gave Chu-Hi the nickname Tokyo Drink – in English, since Japanese commercialism still relies on English oddments – and put John Travolta on television at his supple best.” And Travolta’s line? “Tokyo Drink”—in English. Seems like a nice way for an actor to earn some extra cash on the side. You might expect actress Charlize Theron to have worked on a commercial or two in her native South Africa, but probably not in Japan. Yet, the Oscar-winner appeared in a number of Japanese commercials over the years. One of them was a Honda commercial that some might perhaps venture to describe as slightly odd—yet charming without a doubt. The ad features Theron driving a Honda with an overly excited puppet in the passenger seat. Though it’s pretty clear the puppet is more stoked about sitting next to an American actress than he is for the Honda itself, the generally good vibes he and Theron give off in the ad have quite the effect. Apparently, South Korea’s Bean Pole fashion line makes a man irresistible to Hollywood actresses. At least, that seems to be the message the company is delivering in the commercial it released featuring superstar actress Gwyneth Paltrow alongside Korean-American actor Daniel Henney. No, it’s not Japanese, but it was way too good to not be included. The 2005 commercial, posted on YouTube by lynaqt, plays pure mirror magic. Paltrow and Henney are sitting in a café, stirring their coffee. Paltrow mirrors every move Henney makes, leading the two to exchange flirtatious glances. Of course, the actors are modeling Bean Pole’s famous clothes throughout! 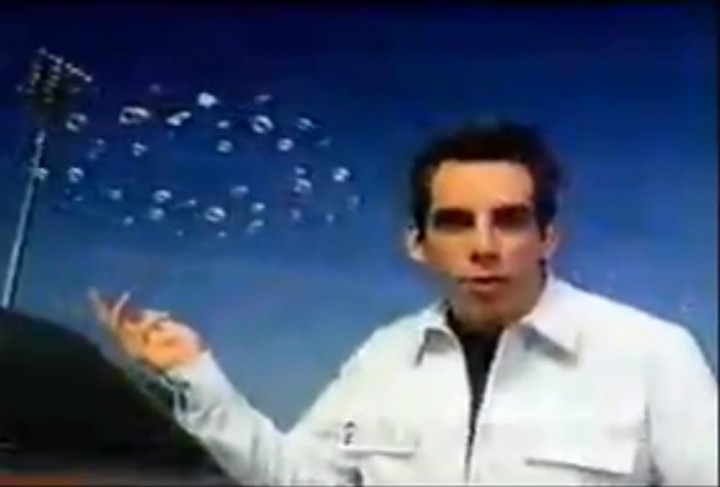 Funnyman Ben Stiller is one of the most widely recognized name in American comedy. As such, the Zoolander actor is one of the various American actors that Japanese beer brand Kirin found suitable for one of their commercials—and it doesn’t disappoint. According to a description of the ad on beervlog.com, which posted it for U.S. audiences to see, the actor “speaks Japanese, is frozen in ice, plays with cheerleaders and is tackled by football players” throughout the commercial. Sounds like classic Stiller material. One can only hope Zac Galifianakis doesn’t get a hold of this for his Between Two Ferns show.